Opting for the smaller 13″ pie, our Finnochio Pizza certainly made up for its size with such bold and forward flavours. Topped with a generous helping of juicy and flavoursome pork and fennel sausage, the tender protein was well accompanied by plenty of wilted kale that offered up a slight crispness throughout. Alongside sat plenty of minced garlic and rosemary that provided a forward and unrelentless herby sensation, and when coupled with some melted mozzarella, a rich tomato base and a thin crust, each mouthful of this pizza certainly gave your tastebuds a sensory overload! 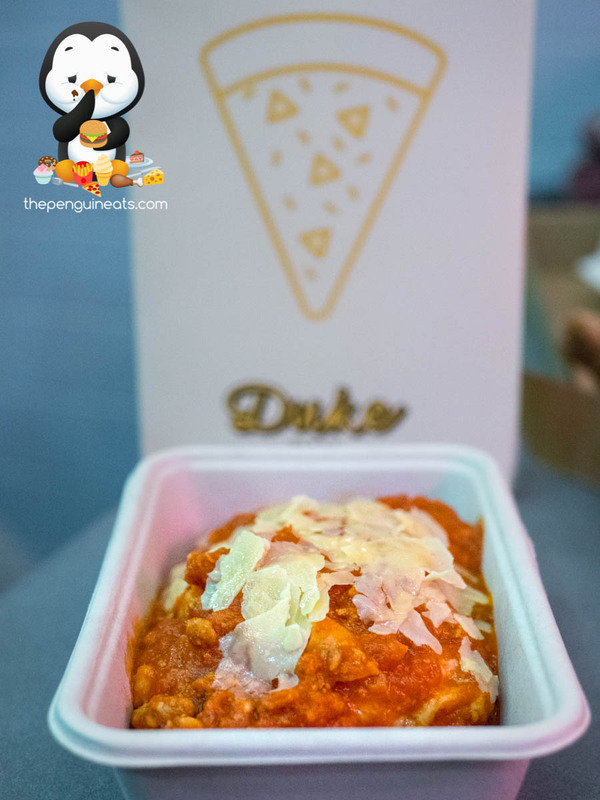 We also sampled the Mack Daddy by the slice, which truly embodies the New York style of pizza-eating. We found a huge range of toppings that made us reminisce of a “supreme” pizza. 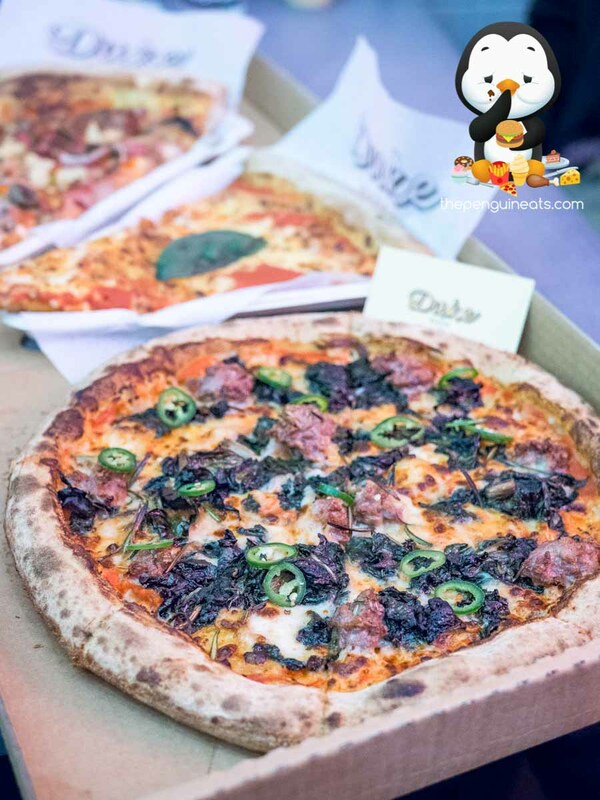 Ranging from salami and sliced ham, to pineapple, mushrooms and olives, this tasty and juicy slice from a huge 24″ pie was definitely loaded in every sense and tasted exceptionally appetising. Another highlight for us was definitely the humble Garlic Bread. Fresh out of the oven, the piping hot loaf had an exceedingly crispy crust that made way for an incredibly fluffy and spongy inner. 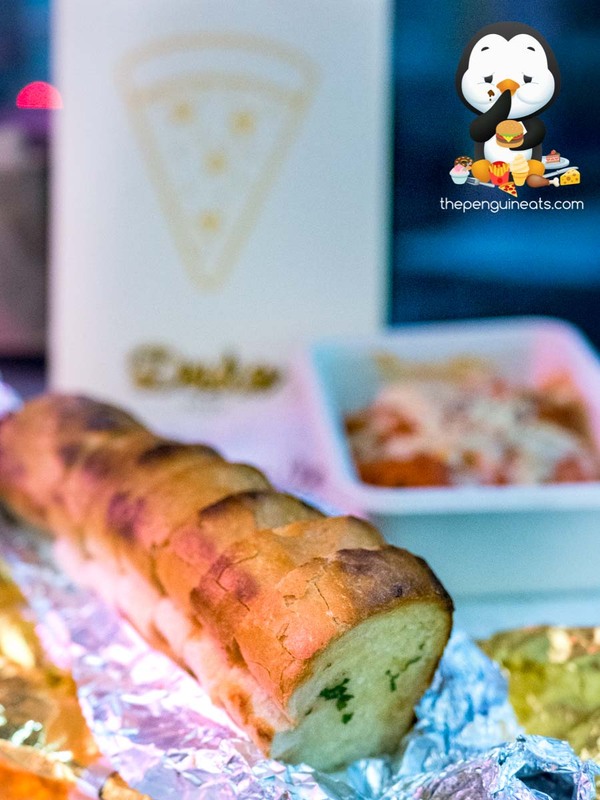 Soaked with a good amount of garlic butter offering a rich, savoury goodness with every bite, this was definitely one of the most enjoyable garlic bread we’ve come across to date. 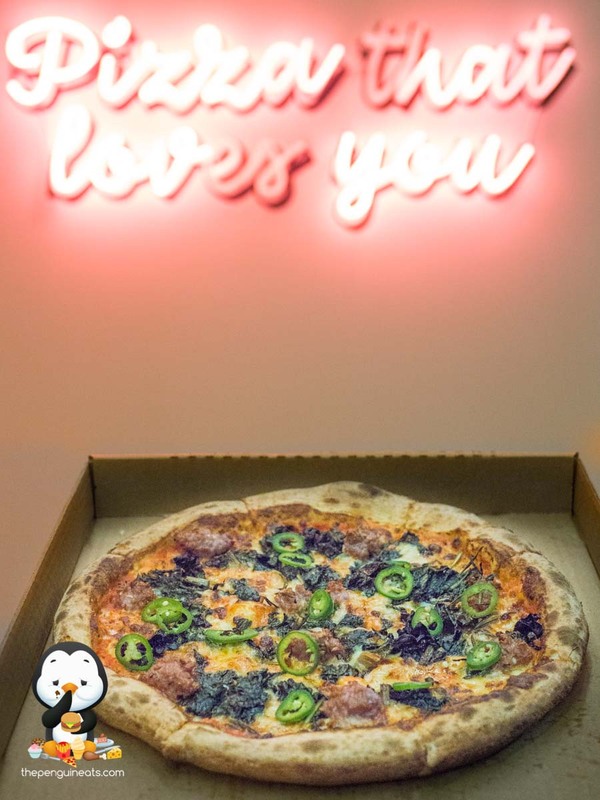 Offering a true New York experience, the pizzas here certainly exceeded our expectations in more way than one. 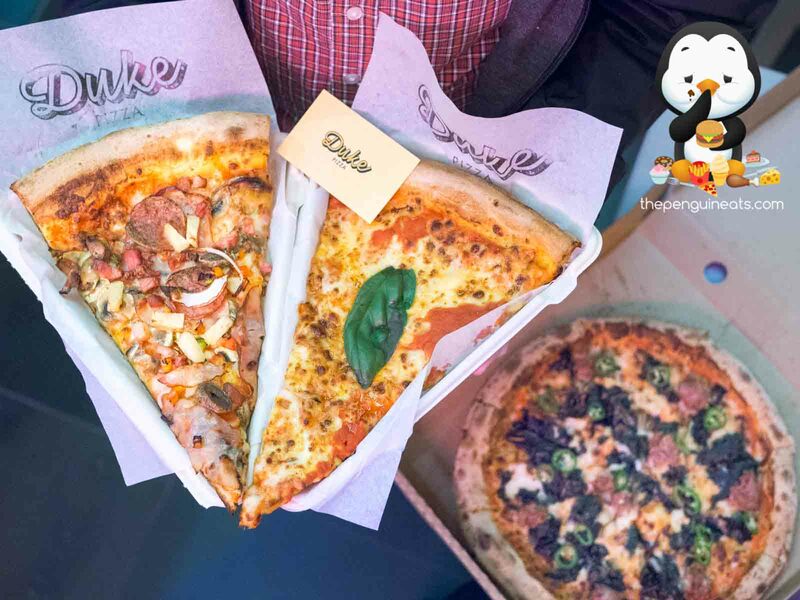 For those looking for a lighter snack, their most popular pizzas are available by the slice and are perfect for satisfying a guilty craving. 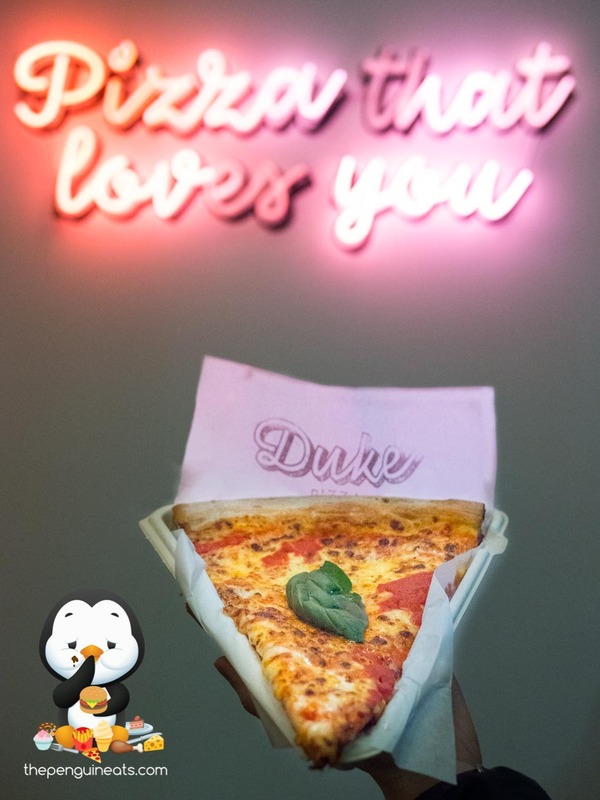 For hosting a party or even grabbing a quite and satisfying bite to eat, you definitely can’t look past Duke. 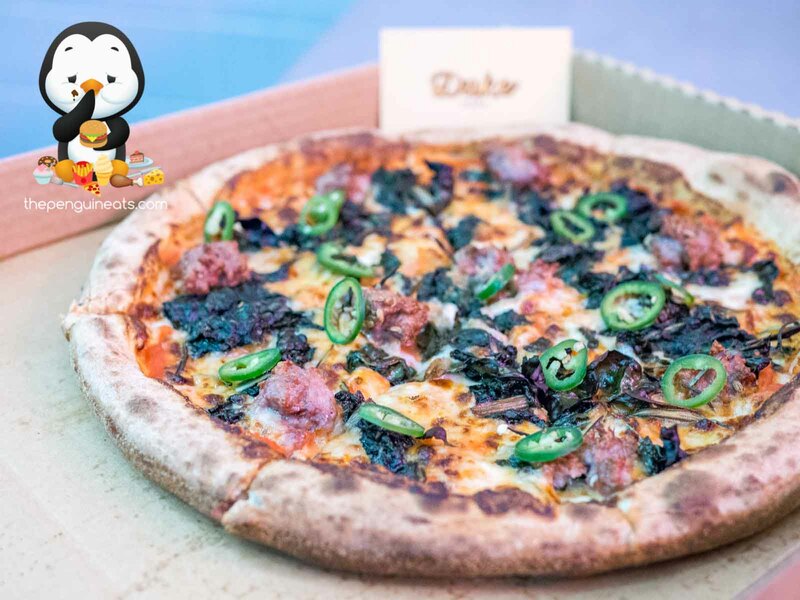 Penguineats would like to thank Duke Pizza for inviting us.